Need a new photo for your Scholars profile, other online presence, or upcoming invited talk? Come to our next Scholars Photo Day! 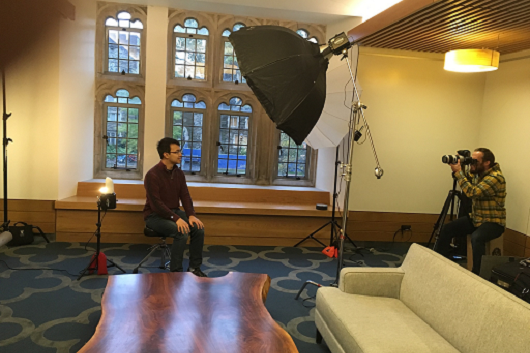 Free and open to all Duke faculty, researchers, graduate/PhD students, and anyone with a Scholars profile who needs an up-to-date professional head shot. 1. Arrive at photo day (no RSVP needed). 2. Sign in with your name, organization, and email address. 3. Smile! And get your photo taken. 4. Photos will be shared with individuals in mid-March. Note: Based on our first two photo days in September and November, the process generally takes 5 - 15 minutes. Actual wait times will be announced on Twitter every hour throughout the session. Communicators and Scholars@Duke Power Users, please share with your faculty, academic staff, and graduate students as appropriate.